Today, Nokia announced an Earth-shattering change of course; no longer will they try and play in the smartphone software game, instead they will be licensing Windows Phone 7 from Microsoft. Nokia has been in dire straits since the iPhone was announced in 2007. They were so blown away by it that they reasoned that it couldn't possibly be real, instead believing it to be a smoke and mirrors play from Apple. When the iPhone launched, and proved to be genuine, they panicked. It wasn't until 2010 that Nokia launched a capacitive touch smartphone to compete, the N8, and though the hardware is top-notch quality the software is still generations behind iOS (and since then, Android, webOS and WP7 have sprung up, all new-generation platforms for the future-computing space). Symbian^3, the OS shipping on the N8, is the best version of Symbian yet; little-known fact: before the iPhone, I was a Symbian fanboy. I rocked a 7650, N-Gage, N-Gage QD, and a 6630 during the 2000s. There was no other mobile OS as advanced; Symbian was a fully multitasking OS with OpenGL|ES support (the N-Gage and above ran ports of popular PlayStation games like Tomb Raider and Tony Hawks) and a large software library. Then the iPhone happened. iPhone ran OS X, a desktop-class Operating System. There was no way Symbian could ever have caught up to this; it was obvious even then to seemingly everyone outside of Nokia. Nokia may have ignored the iPhone, a $600 device with no 3rd party apps, but they should have been terrified by Android, which sprung up shortly after the iPhone was introduced, to which Symbian lost all but one of its licensees. Nokia worked on a 'hobby' OS on the side, Maemo. Originally built for Nokia's 'internet tablet' line, the only 'phone' Maemo ever made it onto was the N900 (in late 2009), a device created for developers featuring top-end specs and a shell enabled right out of the box. Maemo was a real, desktop-class Linux OS, first created in 2005, and was clearly what Nokia should have been focusing on to replace Symbian. It wasn't until early 2010 however that they realized this, and partnered with Intel to create the MeeGo project - a fully open-source Linux-based post-PC (smartphone, tablet, TV, in-vehicle) platform for ARM and x86, the spiritual successor to Maemo. Fast forward a year, and MeeGo is not ready. It's absolutely filled with potential, but it's still a good six months away from being shippable to consumers (less, perhaps, to developers). Realistically, the handset version runs on a single device (the N900) right now, with 2009 specs and a resistive touchscreen. Nokia's choice, up to now, has been to hold out for MeeGo to replace Symbian, and continue to push Symbian until that time comes (in all probability, it would mean another whole year to wait for a credible iPhone alternative from Nokia). Nokia's newly-appointed CEO, Stephen Elop, thinks that's insane, and he's right. Microsoft offers them a way out. Windows Phone 7 will give Nokia a credible, modern OS, significantly increasing their chances in the US, and furthermore bolstering the WP7 story by adding the top phone manufacturer in the world to the licensees. Nokia sells a *lot* of phones; this will be a major coup for Microsoft and a shot in the arm for WP7 visibility. Nokia can continue to innovate on hardware (something they are terrific at, their key strength) without having rely on a second rate OS like Symbian (or having to wait until MeeGo is ready). 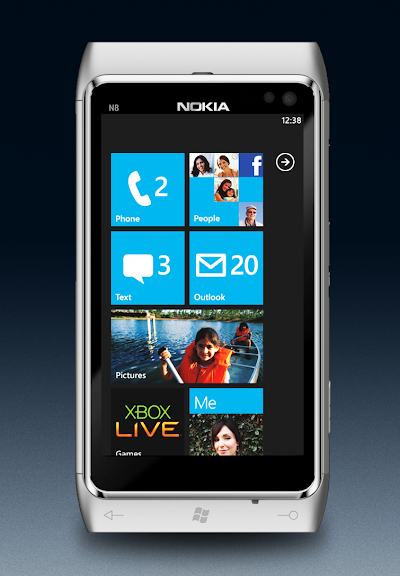 I'm positively excited to see WP7 as part of Nokia's lineup. I've been using WP7 for months and adore the OS. I'd really like to see them bring WP7 to markets other than the US too, possibly replace Symbian across the board with it. MeeGo, being a Linux-based OS, will always be able to pull in the more technical people to the top end of the smartphone scale, and WP7 will be able to scale down to the not-so-smart-phones too as Microsoft add the lower-tier platform spec they've been promising for WP7 since MIX10 (320x480 screen resolutions, slower processors, etc). Nokia's hardware is top-notch, with impressive build quality. The N8 is an aluminium and glass beauty with an AMOLED screen, 12MPix camera and HDMI out; I can't imagine what they can pull together now they're not encumbered by their software. I can't wait for the day I'll be able to proudly call myself a Nokia fanboy again. 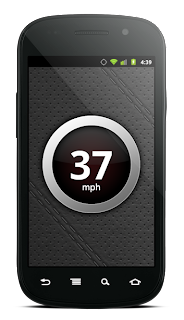 Introducing our first release of 2011: the long-awaited Android version of Speed, the successful GPS speedometer app. Speed is a drop-dead simple speedometer for Android that uses the location data from the GPS to provide a near-accurate representation of how fast you're actually traveling. Featuring lush graphics and a clear, legible display, Speed is the perfect bicycle, boat or train speedometer. 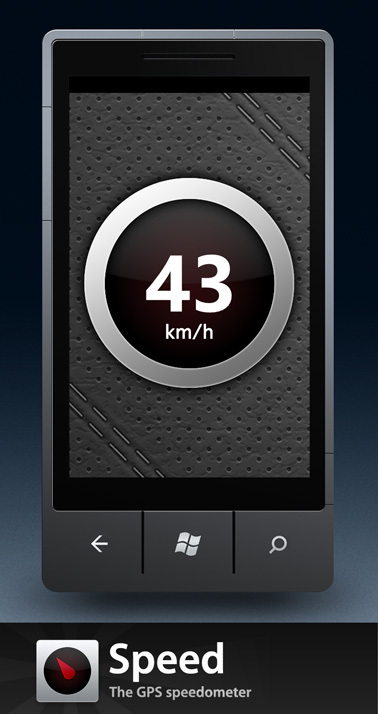 Both kilometers and miles per hour are supported, and a landscape mode for widescreen operation. Simply tap the dial to switch between miles, kilometers and knots. Speed has been tested on various screen sizes, and should look great on larger devices like the Dell Streak or Galaxy Tab too. 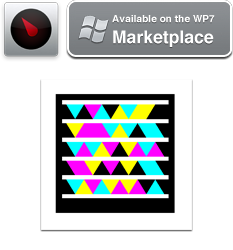 Grab it for under a dollar from the Android Market!